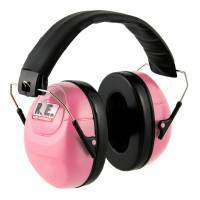 Racing Electronics has been in the racing business for over 25 years. What began as a hobby in a condo in 1988 has grown to become the #1 Company in Race Communications Worldwide. Look around at any major racing event & you'll see Racing Electronics everywhere...professional & amateur, racer or race fan. Description: Enjoy the race while blocking out track noise and protecting your hearing with this over-the-head hearing protector. FREE SHIPPING! Ships from Idaho. 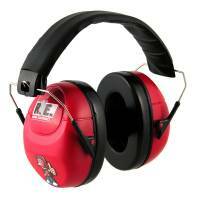 Description: Louder and superior audio quality over any device in its category. 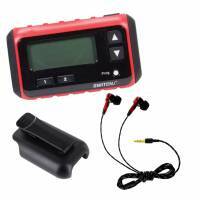 Also has a built audio-in port to be used inline for drivers using a 2-Way Radio. FREE SHIPPING! Ships from North Carolina. 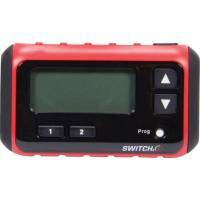 Description: Racing Electronics Switch Scanner Package includes Racing Electronics Switch Mini UHF Racing Scanner, A Switch Belt Clip and Racing Electronics RE-50 Earbuds. 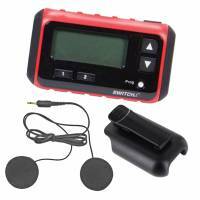 The Racing Electronics Stingray race communication system with Motorola Mag One BPR40 portable 2-way radios offers increased communication flexibility with features such as push-to-talk ID and selective call. This powerful radio system penetrates noisy environments and provides clear, crisp audio at any volume. The lightweight, ergonomic design makes the Mag One BPR40 radio comfortable to carry and operate. System includes everything needed for the driver, car, and crew chief. The Chase race communication system from Racing Electronics with Motorola CP185 portable two-way radios brings you a robust two-way radio solution. The CP185 has an extensive feature set including built-in voice scrambling for increased privacy, VOX capability for hands-free communication, 5 programmable buttons and X-Pand™ Technology to provide crisp, clear and strong audio quality even in noisy environments. Combined with the compact, lightweight design of the CP185, you get just what it takes to enhance communication while increasing productivity. System includes everything needed for the driver, car, and crew chief. Pit Stop USA offers the latest Racing Electronics Racing Communications Systems including the Racing Electronics Stingray and the new "The Chase" radio systems. We also feature the entire Racing Electronics line of Racing Electronics Scanners, Racing Electronics Scanner Packages, Racing Electronics Scanner Headphones, Racing Electronics Scanner Accessories, Racing Electronics Scanner Adapters, Racing Electronics Headphone Accessories, RAcing Electronics Stopwatch Clipboards, Racing Electronics Two-Way Radio Headsets, Racing Electronics Race Car Wiring Harnesses, Racing Electronics Push-To-Talk Switches and more at low everyday prices.